You’ve been pretty good about taking photos for special moments (or daily ones) along the way, but that means you have a lot of photos. At times that can be overwhelming. Dread of more photos can even make you not want to take more. How can you keep the balance between remembering all the blessings and not drowning in them? There are a bunch of ways to store your photo collection, both physical and digital. At different stages in life, one will probably work better than another. Here’s one that has worked well for me for a few years now. 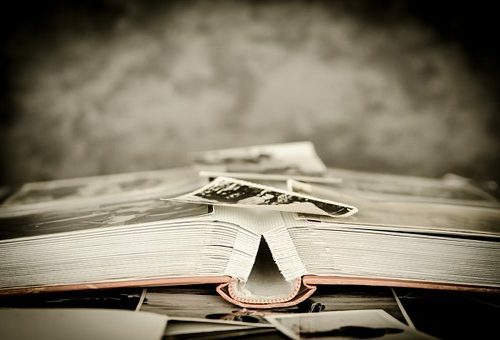 Once we’ve come back from a special time or trip, I make time to pull together a photo album as soon as I can. I use an online site like Shutterfly or Snapfish, where a couple of hours will get me a complete album, clean and shipped to my door. The layouts are fairly easy to use, and the story can be combined with the photos. This allows the details to be captured along with the photos before the memories fade (as they so quickly do). Remember, the memories are what are important, so you don’t have to go overboard on embellishments or custom layouts. Capture the joy of the time and carry on with life. Write down what was important and enjoy the photos in a simple group. Pick out the best photos and simply store the rest in digital files. You may want to reference them some day, but they don’t all have to go in one album. Once you have an account, you can save the book and come back to it later. You don’t have to finish it in one shot. So you can do a few pages at a time of summer activities, but you will finish it up and print it in the fall. Because you can save the projects, watch for deals before you order. Sales happen on a regular basis, on the sites I’ve used, so take advantage of them. Keep your effort simple and soon. Enjoy! What do you put on your calendar? Does your planner reflect your time well each day? Generally speaking, we all have three baskets of stuff to do. 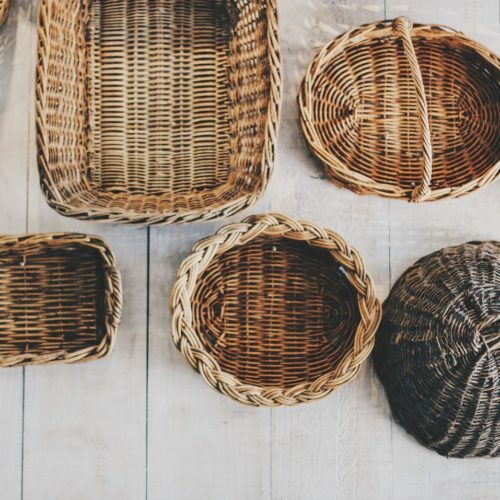 These three baskets need to be balanced for our time to be used well. That can be tricky! But if you make sure all three are reflected in your daily or weekly plan, you are well on your way. The dentist. The practices. The work. The school days. These are things that are commitments at certain times on specific days. You don’t just stop into the dentist’s office when you are driving by; it’s a date and time. If you can’t make it as planned, you re-schedule, but it remains a specific date and time. These are the things that should — and usually do — go on the calendar first. They are the non-negotiables. Not that you can’t reschedule, but for the moment they are fixed. You have to work around these entries. What are your priorities? We all have them. Some are assigned to us, and some we take on ourselves. Either way, if they are priorities, they will show up in our use of time. So as we manage our time, we block out space on our calendars to focus on what is most important. Do you have regular time for devotions? Do you have time marked to just enjoy your children or family? Do you set aside 20 minutes to read on a regular basis? The long to-do list. So much to do, but have you scheduled time to do it all? If your day is full of commitments and focused priorities, without a minute to breathe, those tasks will not get done. Tasks are the little things: errands, dishes, laundry, bank, birthday cards, etc. They also reflect our priorities, but they are 5-to-15-minute items. There is no need to schedule time for each task on our calendars, but it can be helpful to schedule an hour or two a day (whatever time fits each one’s needs) to knock out tasks. That way, time is there to address them, and we can tackle the list effectively during that time without distraction.